Coming down to the DCR Open House? GoPro Hero4 Session Down to $199: This is now a sweet deal, and the unit is finally priced where it should’ve been. I’ve actually been using it all weekend, in fact the photo above is taken from it last night – no editing, straight from the camera. Pretty impressive for a night-shot. In-depth review here. Amazon linkage here. TomTom GPS products back on sale, from $89: In a move that surprised no one, TomTom has again put on sale their GPS products (they’re almost always on sale). The good news is, there are some sweet deals in there, especially for the Multisport GPS down to $99. Full listing of details/reviews at the link. CycleOps/PowerTap 20% off deal ends Monday night: Just a simple reminder. This is not valid on the PowerTap C1 or P1, but is valid on the PowerTap hubs/wheels and CycleOps trainers. Finally, Clever Training is running a bit of a sweepstakes that any purchase on their site between now and Dec 23rd will net you entrance into a $600 Garmin GPS watch giveaway. In case ya missed it – this upcoming Saturday is the 2nd Annual DCR Cave Open House, in Paris. We’ll be doing a group run in the morning (actually, two group runs: one with me, and one with The Girl), and then the open house later that evening. Should be great, so definitely register if you plan to go! If you’ve already registered, you’ll receive an e-mail tonight (Sunday) with details on the address. So if you didn’t receive it by the end of Sunday (and have checked your SPAM folder), then just leave a comment below and I’ll reply back to you directly. See ya then! 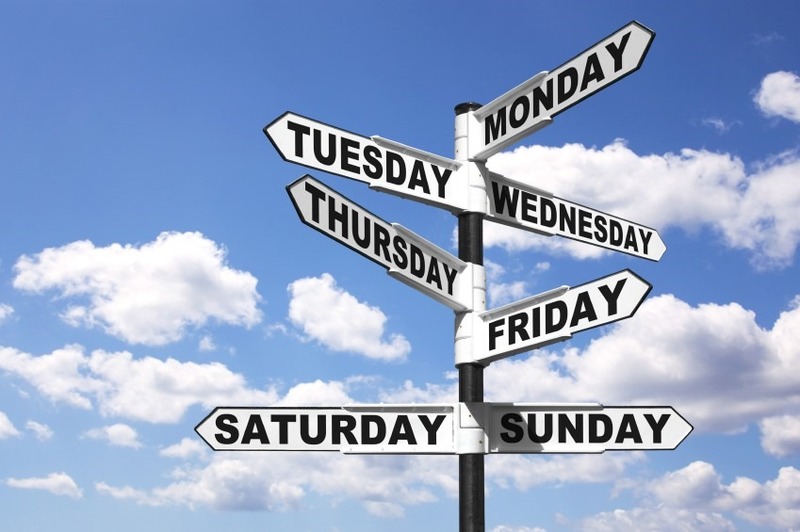 Yes, a somewhat quiet week. Been mostly doing a bit of data collection this past week, preparing a bunch of posts at once. And visiting Budapest too! 1) Froome Data Release: Lots and lots of stories on this over the past few days. Aside from the main source, I’d also read Science of Sport too of course, and this piece from Shane Stokes. I haven’t dug yet into the data enough to really form any opinions. I was instead busy eating my way through Budapest. 3) Triathlete Daniela Ryf earns $1,000,000 upon winning Bahrain 70.3: By taking the triple crown, it netted her quite the payday. While these massive prize purses are awesome, triathlon history has taught us they unfortunately never last more than a couple of years. 4) Frequent course cutter Julie Miller banned by Triathlon Canada: Love seeing this coming to fruition after all the evidence presented by various interweb folks over the last few months. 5) A Prescription to Nature: Well played Nature, well played. 6) Garmin granted expansion in Olathe: You’ll remember a few weeks back I included a link regarding Garmin getting denied approval for expansion of facilities for 2,500 jobs, from the city. That’s since been overruled and approved (thanks to reader Alex for sending in the update). 7) Kaleidoscope – a pretty unreal bike video: This week is apparently the week of interesting bike videos (or me finding out about them), and the backstory on filming this is pretty nuts. Polar adds Training Load & Recovery Status for M400: Not on the device, but to the Polar Flow website. This is something that’s long been promised, so nice to see them making good on it. Tacx Firmware Update for Vortex Smart, Bushido Smart, Genius Smart: This adds the ability for 3rd party apps to control the units via Bluetooth Smart (the NEO already received the update). Use the iOS/Android updater apps. Polar Loop firmware update: Just a few minor tweaks. Garmin Index Smart Scale: Engineering related update. Garmin Edge Touring: Supports new maps, fixes missed turn prompts. Sport Tracks Analysis Updates: A flotilla of updates to various analysis pieces over on Sport Tracks. Garmin officially announced Gen2 Running Dynamics for FR920XT & Fenix3: No surprise here, after the recent beta updates including it. 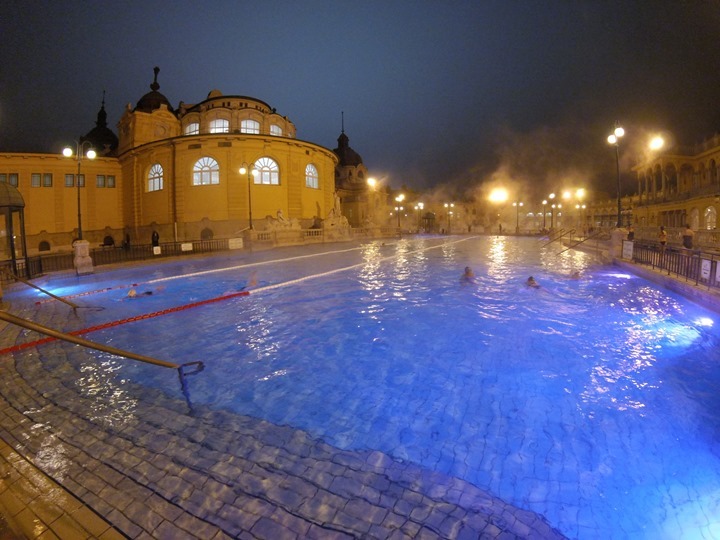 Nice shot of the Széchenyi bath Ray. Hope you had a great time in Budapest. Ray, I would like to join your morning run on December 12th is it ok for you? BTW I think I have registered early but no answer… I was afraid you want to cancel it due to restrictions in place in Paris. Yup – totally OK! I just sent out the registration details e-mail – so if you didn’t receive something, just let me know (I did see your e-mail on the list). No sign of an email confirming cave + run details yet. Checked all filter folders. Flight and hotel are well and truly booked! Just sent it out about 15 minutes ago – let me know if you didn’t receive it. I am happy to see about both Polar updates, the use of training load and recovery status might be limited, but as you mention its good to see that they remember the “promises”. The difference between v800 and m400 is getting more and more on the visual design now and less about features (apart from swimming and bike cadence). Still haven’t gotten around to buy any of them though.. I want to add a comment to the Loop firmware update. This last one solved one major annoyance to me, or maybe two. First, the hourly automatic synchronisation to Flow in iOS finally work! Second, the manual sync have become more reliable. I have had major issues here until now. This might also be tied in to the recent update to polar flow on iOS, but the new update introduced a bug. Every now and then – too often – the Flow app forget to stay logged in and I have to enter login details quite irritating. I tweeted Polar about it and they are aware of, and working on the problem. Just a heads up. Seeing a lot of issues cropping up with the Tacx firmware updates on the zwift groups. Basically killing functionality in a few ways. Seems rolling it back is solving it but buggy at best. So now with the tacx firmware update which 3rd party apps can control the trainer directly from the iPhone? Kinomap? Trainerroad? Right now Kinomap, I don’t believe TrainerRoad has implemented it yet. Thanks! so not much application for it at the moment. hopefully TR will support it in the future. Yeah, they’ve had the dev materials for quite some time now – so hopefully it’ll happen shortly. Ray, does the price drop in the session change your feelings in the “advice” section of your review? Definitely a bit, I’ll be looking to update it. Do you plan to review the Moto 360 Sport? I’ll be buying one and giving it a whirl. Grr…it was fine just a few days ago. Will poke the dev support folks and see what’s going on. Do you know if the Fenix3 firmware update will bring the Lactate Threshold (LT) functionality? The other features seems very nice, but the estimation of LT and the stress-score data from HR seems to be awesome.